… a Florida State Licensed and fully insured construction company and Roofing Contractor. 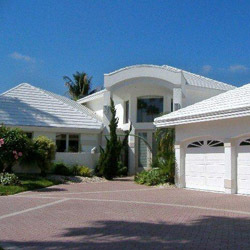 Keystone Construction & Restoration Company, Inc. and Keystone Roofing Services, Inc. are locally owned and operated business’ in Boca Raton offering a wide variety of construction services ranging from building custom homes, residential additions and remodeling, commercial remodeling, insurance restoration work, new and re-roofing and even the smallest home repairs. Keystone Construction & Restoration Company, Inc. and Keystone Roofing Services, Inc. have over thirty years of experience in the construction and roofing industries in South Florida. An integral part of our customer base is that the majority of our customers contact us on a referral basis. We feel that this is the best testament to the caliber and value of the services that we have to offer. …is that we are a service provider first. We offer our clients a high level of service along with a quality product for a fair price. We believe that educating our customers is of utmost importance. We always ask our clients, that when comparing proposals please ensure that you are comparing identical specifications with regards to the services/products being offered, for example: square footage, amounts and types and/or sizes of items and allowances given. Throughout our years of experience in the construction industry in South Florida, we’ve learned what is necessary to ensure all our clients are satisfied with our services. It is very important to also consider the amount of experience and the quality of workmanship a contractor has to offer. And of course, we always welcome any questions our clients may have.